Prepare your organization for the legislative session. We know how important your advocacy goals are, so we put together this step-by-step checklist to help your organization. 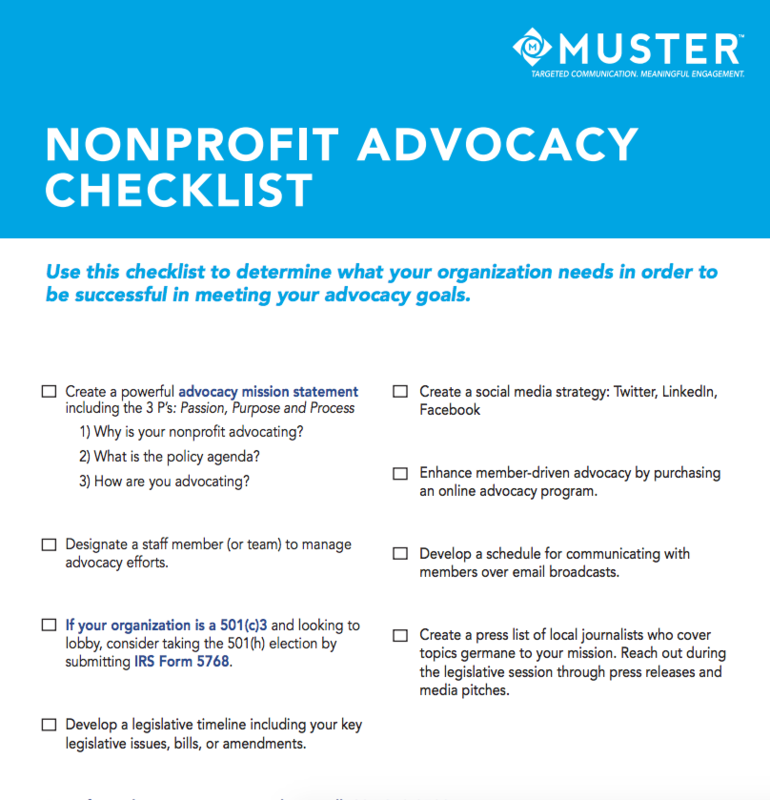 Please fill out the form on the right to download Muster's Nonprofit Advocacy Checklist today.